Gingham is HUGE and super on trend for the Spring and Summer season! From swimwear to dresses, gingham has staked its claim on most stylish print of 2018. The pattern is a bold choice, but I’ve found a way that anyone can include little gingham into their closet. 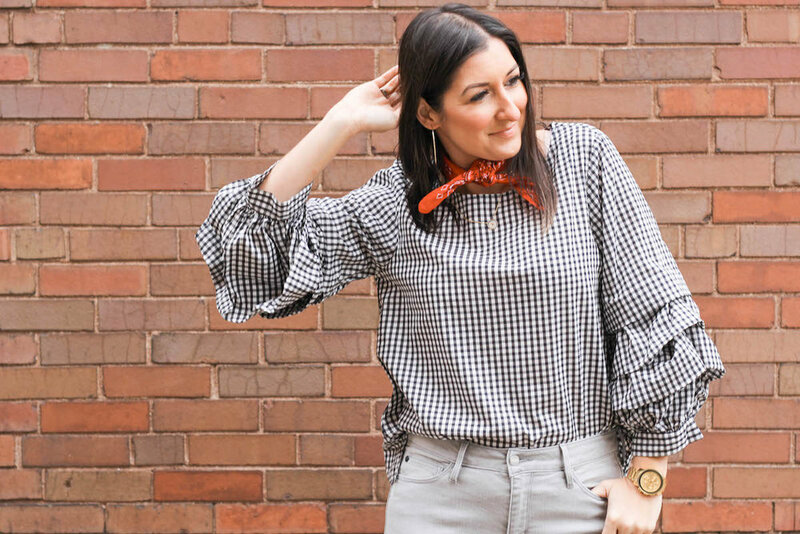 My absolute favorite way to wear this checkered chic goodness is with a simple blouse. A blouse makes things extra easy. All you have to do is throw it on with your fave jeans - This look can be worn with booties, slip ons or whatever your heart desires. I’m also crushing over the fun ruffled sleeves on this top! A little trick that I’ve been into is wearing scarves with my outfits. I wanted to give my choker necklaces a break. Adding this red bandana scarf and tying it like a choker adds just the right amount of texture. I opted for a colored scarf to add a pop to my look. I also wanted to make sure it has minimal prints so it doesn't compete with the gingham. 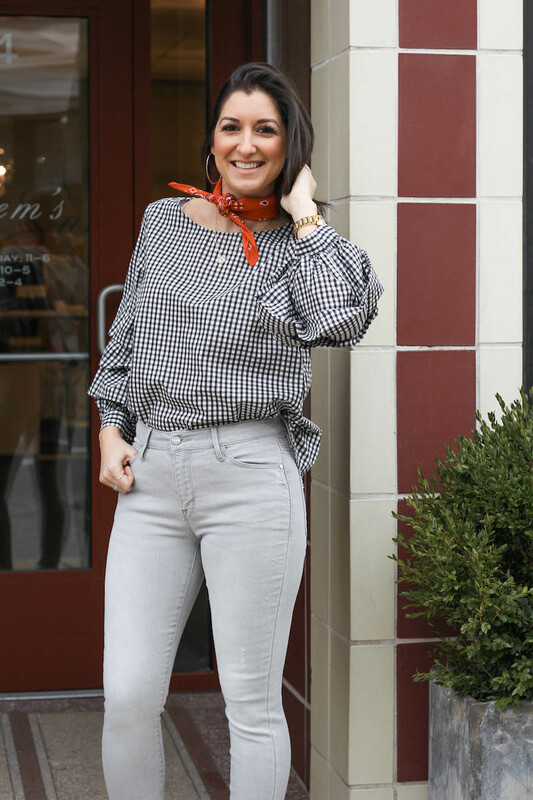 This blouse is at the boutique and I’ve pulled together a few more cute gingham pieces that I’m loving. What do you think of the gingham trend? I would love to hear your thoughts!